XLR8 Aluminum Pulleys - Excelerate Performance - European, Exotic and Japanese Performance Specialists!! XLR8 Crank Pulleys are lightweight aluminum pulleys designed to help reduce weight and consequently free up horsepower. 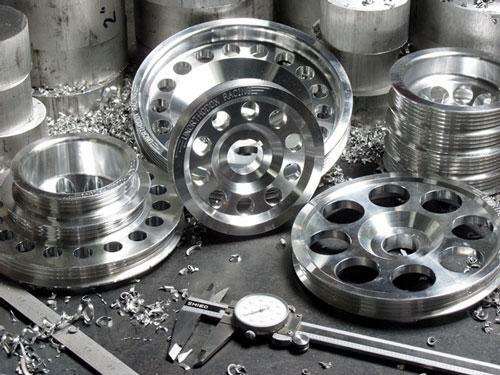 Each pulley is designed and manufactured here in the U.S. using the latest CAD software. We use only the finest U.S. produced materials available today. Our manufacturing processes follow strict quality control measures ensuring superior products that are attractive, durable, and most of all reliable. Our pulleys are held to .001” tolerances, usually reserved for aircraft, medical, military and space manufacturing programs. All pulleys are CNC machined and 0 gram balanced and carry a full warranty. Great part. Was really easy to install.